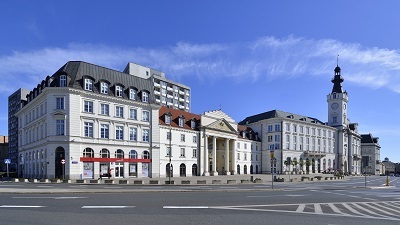 Global real estate services firm Cushman & Wakefield represented Commerz Real in the disposal of the Jabłonowski Palace to a private developer S+B Gruppe. The Jabłonowski Palace is a complex of office buildings offering a total of 17,000+ sq m of leasable space spread over four floors. It was built between 1773 and 1785 for Antoni Jabłonowski according to a design by Jakub Fontana and Domenico Merlini. Since then, it has gone through three reconstructions necessitated, among other things, by a fire and wartime hostilities. In 1939, Warsaw Mayor Stefan Starzyński commanded the defence of Warsaw from the Jabłonowski Palace, which served as a city hall at the time. Following the upgrade completed in 1997, the Jabłonowski Palace now features a façade rebuilt to pre-1936 architectural plans and refurbished unique-style interior. The building is situated at 16/18 Senatorska Street, in a prestigious location of the Old Town, right in front of the Grand Theatre and National Opera.